An opening flashback shows Superman assisting the Batman, then returning home for Jon's birthday party. In the present, Superman struggles to free himself after having a mountain dropped on him. He's able to do so, and strikes back at Blanque. However, Blanque is able to overpower Superman, and has him pinned. Henshaw comes to his aid, and Superman is able to use the chance to reimprison Blanque. Superman returns Henshaw to the site of the Excalibur's crash, and after he leaves, Henshaw reveals that he possesses the oblivion stone. Story - 3: The first issue that doesn't thrill is always a hard one, but it had to happen sooner or later. There's a duo of issues with this installment that just nag at a reader, and it's from things that have long nagged at Superman. Blanque is nearly meta-textual in his analysis, his summary that Superman does not hold up with compared to his "doppleganger". This assessment is, unfortunately, in this instance, correct. Superman, for the first time in this series, comes across as something he never should: tired. We've seen New 52 Superman lift the weight of the Earth for five continuous days, with barely a sweat broken. He's flown at speeds greater than can be estimated, even debuted a new, if poorly used, ability. In the pages of this issue, Superman struggles with a mountain, a feat Jurgens had New 52 deal with with ease. What's more, had Henshaw not assisted Superman, it's unlikely how he would have fared, though it would have been nice to see him sort things out on his own. The other half of the issues is in the returning presence of the Batman; you just can't get rid of this bloke. If it were up to me, I'd have a moratorium on Batman appearing in any Superman books for at least a year. There is no Superman comic where Batman doesn't play a role somehow, and while Superman readers make contorted efforts to justify Batman's presence, the act isn't reciprocated. Since John Byrne's Superman: The Man of Steel, Batman has become a foundational element of Superman's world, and for no reason that is beneficial to the character. 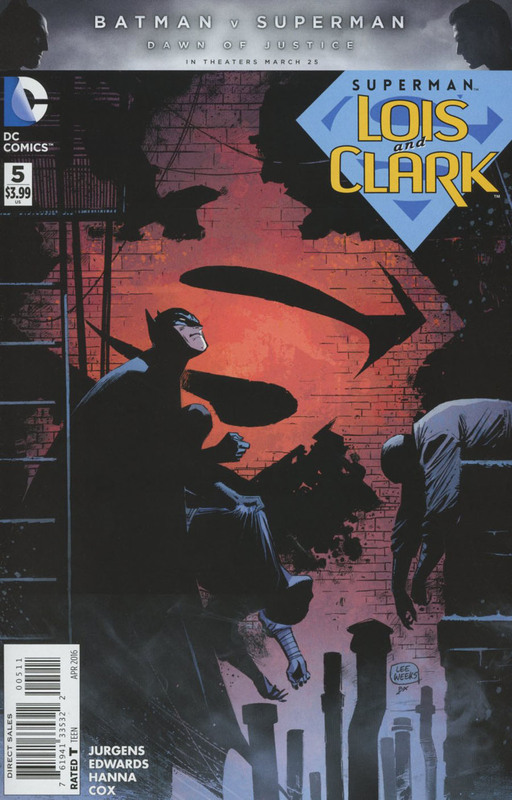 Even in the pages of Superman: Lois and Clark, Batman's appearance in the story does nothing to strengthen the issue, it's just an appearance by the Batman, and a perplexing one at that, since Superman has decided to stick to the shadows. Why would he then place himself in any way near the World's Greatest Detective? Why indeed. 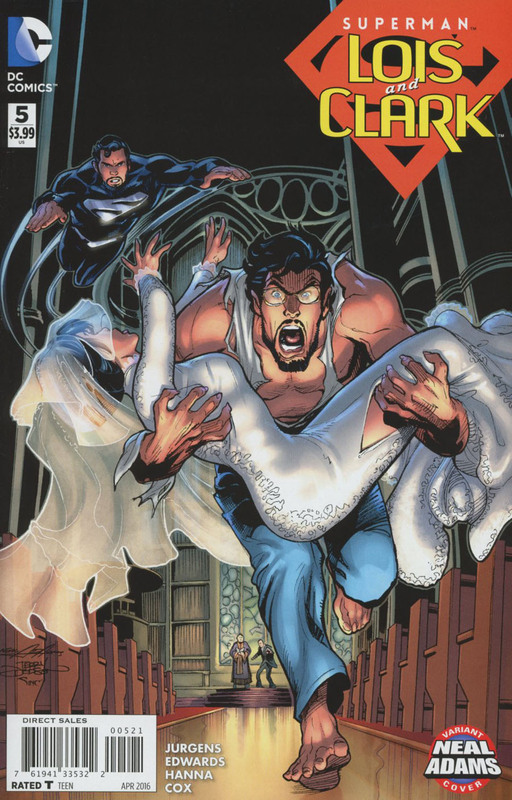 Superman: Lois and Clark still holds top place with me as it features Superman rather than a doppleganger, but while Jurgens' characterization is top, Superman doesn't need to be depowered or have guest appearances from Batman to be entertaining. He just needs to be himself and allowed to do what the man does best. Art - 3: I missed Lee Weeks from the first panel. Cover Art - 0: Superman isn't even on the cover with Batman. Ugh.